Extreme Networks instituted the Exemplary Award to recognize outstanding achievement in K-12 education. Schools that join this elite group have often overcome severe obstacles, but through innovation, creativity, planning, and teamwork on the part of their staff, students receive a quality education and are prepared to change the world. 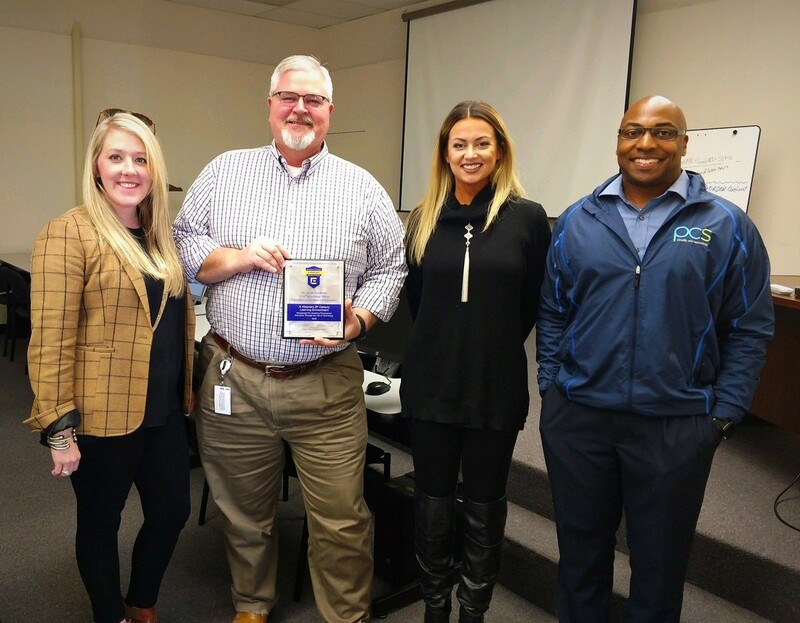 Columbia School District in Columbia County, Georgia is the latest recipient of the Exemplary Award. Here is their story. Columbia School District is one of the fastest growing counties in Georgia. With the goal of empowering and inspiring all students to excel in a global society, Columbia County Board of Education (CCBoE) has made it a point to stay ahead of the curve when it comes to their network. With thirty-two schools in the district (18 elementary schools, eight middle schools, five high schools and one alternative school), but only two IT staff members to manage the network, CCBoE needed an easy-to-manage, highly reliable, powerful network. One person in particular helping to “empower and inspire all learners to excel in a global society” is James Van Meter, chief technology officer for Columbia County Board of Education. In 2015, Van Meter made the decision to switch out his Cisco switching and Aruba wireless and replace it with all purple. Since then CCBoE has implemented a full Extreme solution including Extreme Management Center, ExtremeAnalytics and ExtremeControl with tremendous success. In the 2017-2018 school year CCBoE upgraded their wireless infrastructure. The network now includes Wi-Fi in all schools and has resulted in faster response times, greater availability, and better overall access. The district has also achieved a 1.84 student per technology device ratio. Additionally, Lakeside Middle School has earned a STEM certification, making them the first in the district and just the thirteenth in the state of Georgia. As an Exemplary School Award recipient, Columbia School District meets the following requirements. Stimulate 24×7 Learning: To meet the demands of today’s competitive global economy, schools must create lifetime learners. To promote this concept and qualify for the Extreme Exemplary School Award, a school must institute a 1:1 or Bring Your Own Device (BYOD) mobile learning environment. Facilitate Individual Instruction: Learning is not a one-size-fits-all environment. Networks and resources must be empowered to permit personalized digital learning. Encourage Curricular Growth: To meet the demands of curricular change, a district must implement an infrastructure that readily adapts to curricular needs. Everyone learns differently, and the network must be prepared to meet the growing requirements of eBooks, streaming video and blended or flipped learning.